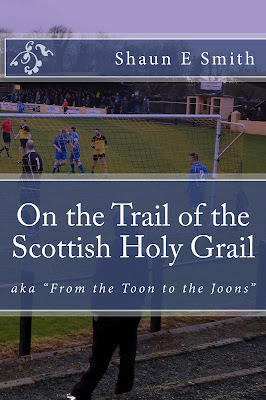 My first book 'On the Trail of the Scottish Holy Grail' AKA "From the Toon to the Joons" is now available to purchase via Amazon in both paperback and kindle editions. How would you celebrate a significant birthday? Host a massive party? 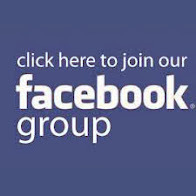 Travel abroad on a luxurious holiday? 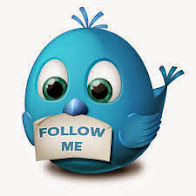 Cross something off your bucket list? 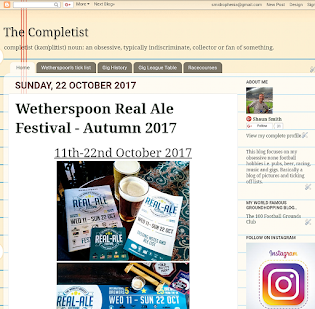 Well how about something a bit different, like marking your 50th birthday by incorporating your favourite hobby with a common thread over the previous five decades. 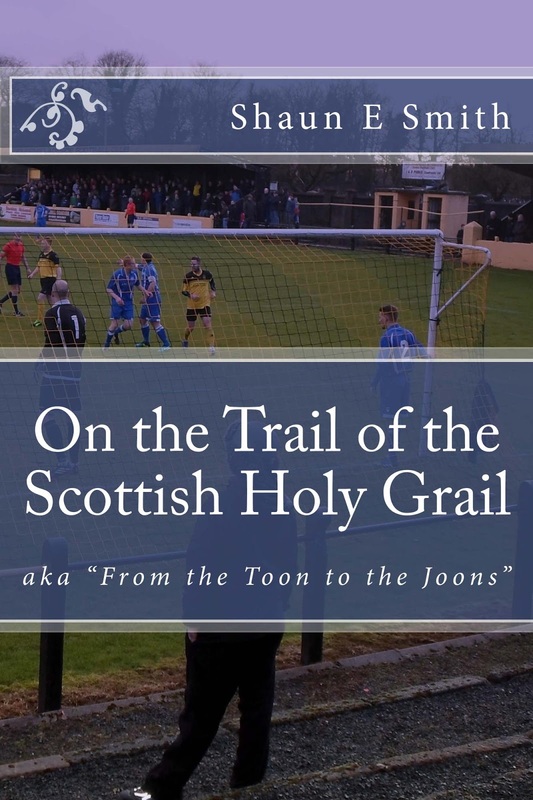 In 2015 Shaun Smith set upon his first of many trips from Tyneside to Scotland, visiting the clubs which have won the prestigious Scottish Junior Cup during his lifetime, a trophy which has been contested for since 1887 and is affectionately known as “The Holy Grail of Scottish football” The author reviews the history of each club, exploring the old pit villages, satellite towns and industrial areas from where they are based. The book look at his matchday ritual, OCD collecting, his musical passion and is semi-autobiographical, with links to his past as a long suffering Newcastle United fan. So follow Shaun’s progress of visiting 22 grounds in 22 months as he heads north of the border from the Toon to the Joons on the trail of the Scottish Holy Grail.